Who knew that my backyard would celebrate its 100-year anniversary? That’s right, I consider Yosemite National Park to be MY backyard, although it may be a little far away from my actual house. Because of the efforts of visionary leaders like Theodore Roosevelt and John Muir, the National Park Service was created to preserve and protect public lands for all Americans and other visitors from around the globe. That technically makes any national park my backyard. And yours as well. So go out and play in it! I love the body language of my brother-in-law in the next image, as he experiences his first-ever visit to Yosemite’s Tuolumne Meadows. I am busy as a bee these last two weeks of August so I have combined several blog and photo challenges into one fabulously encompassing post. 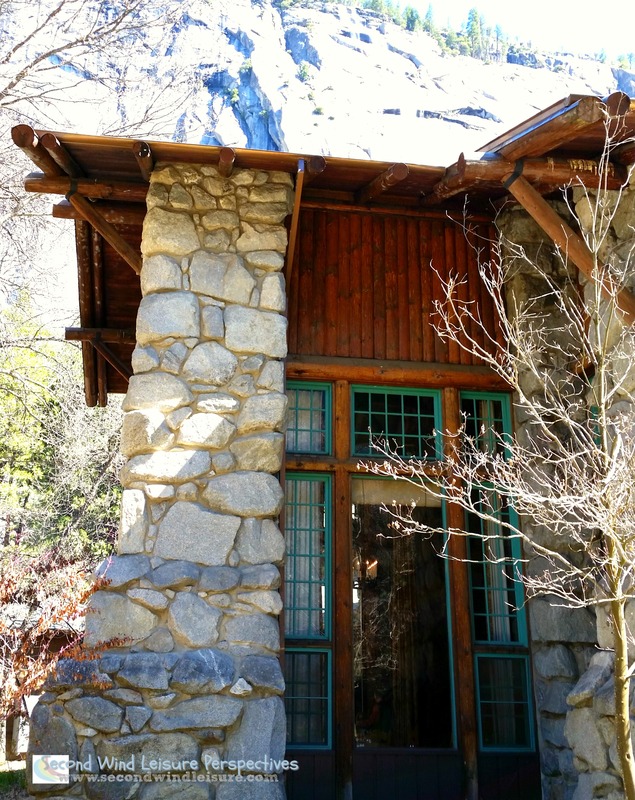 The photo of Yosemite’s (ex) Ahwahnee Hotel is for Norm 2.0 Thursday Doors challenge. All the photos depict the theme of Rare in the WordPress Weekly Photo Challenge. 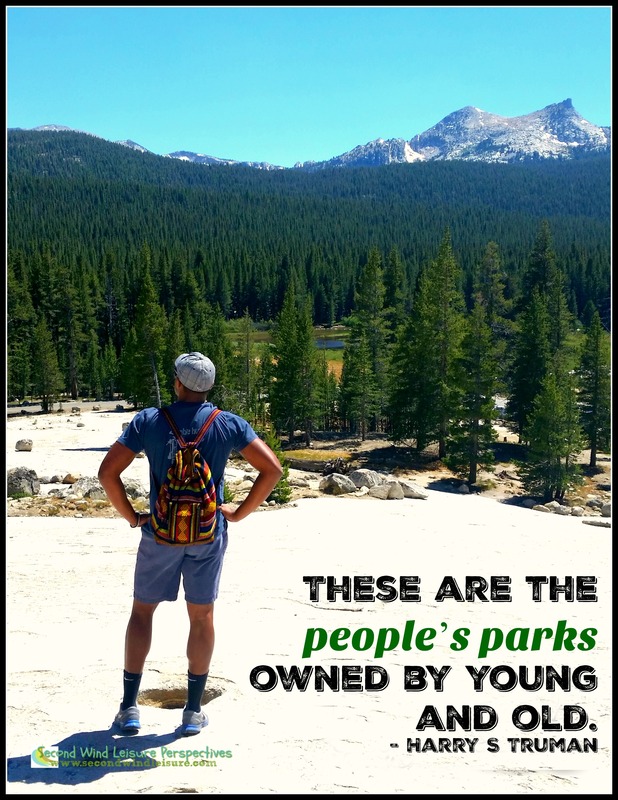 Three quotes about Yosemite and outdoors are submitted for the three day, three quote challenge (this is my third and final). 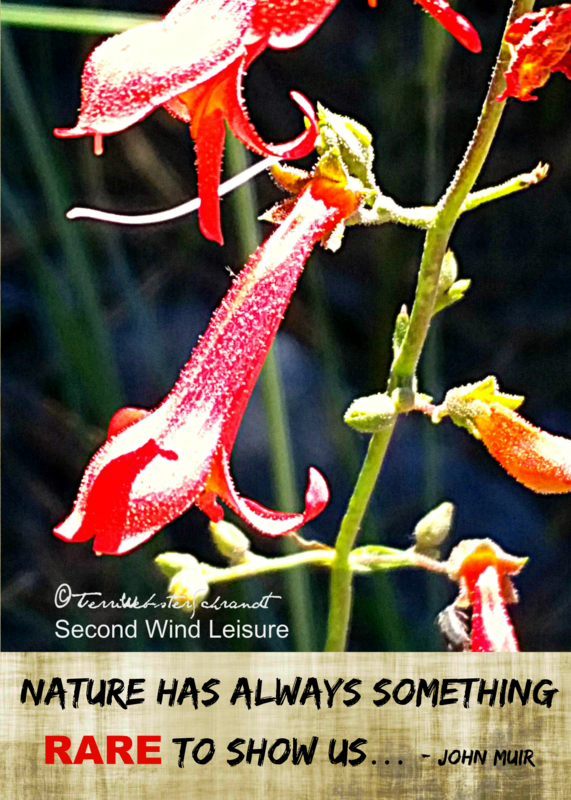 My theme was the Olympics, but now that the summer games are over, a quote is included with a photo of Olympic National Park. National Parks are home to hotels and other vendors to enhance visitors’ experiences. This photo of the Majestic Yosemite Hotel (previously known as the Ahwahnee Hotel) shows one of their many back doors. In another post, I mention the contract dispute that affected the traditional names of certain landmark venues in Yosemite Valley. To continue the centennial celebration of the NPS, I found this next photo. Olympic National Park occupies most of the Olympic Peninsula in the Northwest corner of Washington State. Original image courtesy of Pixabay. In celebration of another anniversary, I can truthfully say that I have visited Yosemite 25 times in my lifetime, making 2016 my Silver anniversary. 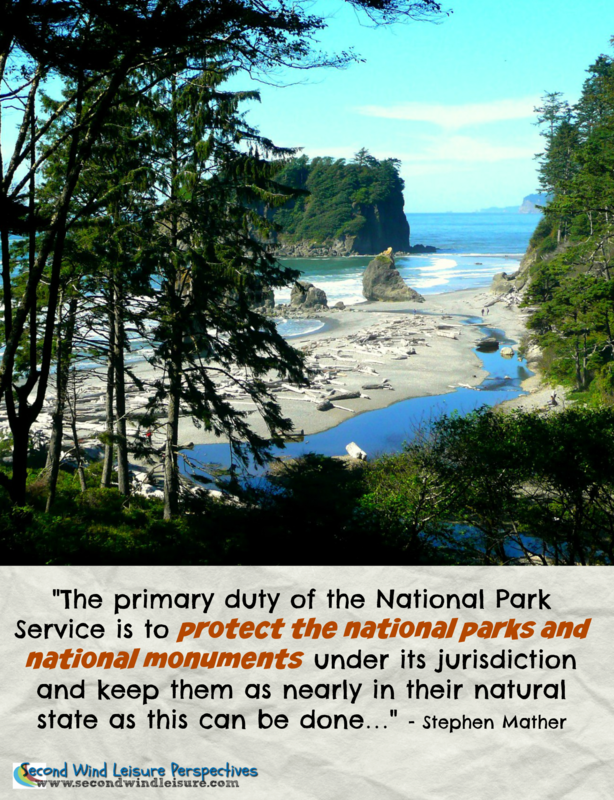 For another National Park Service Anniversary post, click here. By the way, did you know that entrance fees to all national parks is waived today through August 28th? Go find one to play in (and save $30)! Lovely pictures! I never got to Yosemite when I lived in the States, though I wanted to. Thank you! Hope you can someday go! What a beautiful backyard, Terri. And you have made it so real with your lovely photos I feel like it is in my backyard. Fantastic! Your photos are a-maz-ing!!! if anyone needs to understand what is meant by the term “national treasures,” they need only check out this post. Wonderful! Aww, Lee, you are so sweet to say this! Thank you for checking it all out today! Beautiful! Pinning to my travel for motivation…I really want to go to the National Parks! I hope you can go sometime soon. NPs exist in every state! I still want to go to Yellowstone! Terri, I’m blushing as I confess I’ve never been to a national park. They’re definitely on my bucket list. As an East Coaster, I’m very remiss at checking out the glories of the west. Thanks for the reminder. Haha, it’s OK. I’m 4 hours from Yosemite, and those much closer still have never been! Hope you can make it to ANY national park soon! Thank you for blogging about such a precious resource (our National Parks) – great photographs. Thanks, Kerry, glad you enjoyed it! As you can imagine… I LOVE this post! Your photos are awesome, especially for someone like me, who may never get to visit such an amazing place! Thank you so much for sharing, Terri! Aw, thanks, Denise! I do hope you get to visit one day! I’m playing catch up on reading posts now! You have an AMAZING Backyard! Have never been to Yosemite but it is on my list. Happy Silver Anniversary. PS. The Captain LOVES that he has been granted a lifetime membership to the National Parks for $10 since turning 62. Haha, thanks! A fabulous anniversary to enjoy! I hope you can go someday. What great photos. The picture of your brother-in-law could be part of an advertising campaign for Yosemite! Nice post. I really enjoyed watching the 6-episode series on PBS by Ken Burns and Duncan Dayton on “The National Parks: America’s Best Idea”. Thank you! I saw only a couple of those episodes! Thanks, Norm! Hopefully one day they will revert back to the original names! Thank you, Debbie! I need to get out of California and visit some others! Beautiful photos, Terri. I’m must watching one of the special National Geographic shows on the Everglades right now, followed by Yellowstone, and then the Grand Canyon. Yosemite was one of the programs last night. We have so many parks! Hope you get to visit one soon and your photos would be stunning!! Well, you know how I feel about our National Parks! I am so grateful that the original idea of establishing a park system was supported and allowed to flourish. $30 is great, but I like our senior pass even better! $12 One time fee for anyone 62 or over. I don’t qualify yet 😄 but hubby does! We hope to get to Olympic National Park next year. Great photos Terri. Thanks so much, Janis! I just read about the five parks in Utah–Zion, Arches, etc. One of these days…. Wonderful combination of challenges. Your images are beautiful! Just gorgeous Terri I want to visit! I love your photography and nature is always the best model isn’t she? Have a beautiful day and happy anniversary to You both and of course to the National Park. Thanks, Sue! I got to see Yosemite from the air today while flying on my way to San Diego. Probably post one of those shots on instagram! 25 times wow! Congrats on BOTH anniversaries. Thanks, Gary, it helps I live in the same state! Beautiful photos!! I think it is wonderful that it is the 100th anniversary of national parks! Thanks! They are waiving the entrance fees all weekend. It’s $30, so quite a savings for families!